(formerly HealthSpace), the first initiative of its kind for a healthcare facility in Northeast Ohio. 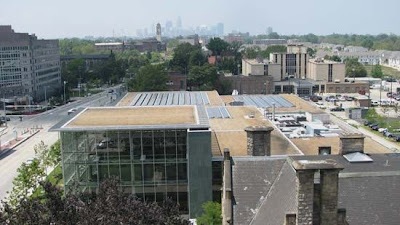 The solar panels, which are installed on the roof of the building, are part of a program made possible by the Greater University Circle Initiative, a part of the Cleveland Foundation. Cleveland Clinic’s panels are the first to be installed. For the fraction of energy produced by the panels, Cleveland Clinic is not susceptible to the volatility of electricity and natural gas prices, creating economic stability in our neighborhood and energy costs.